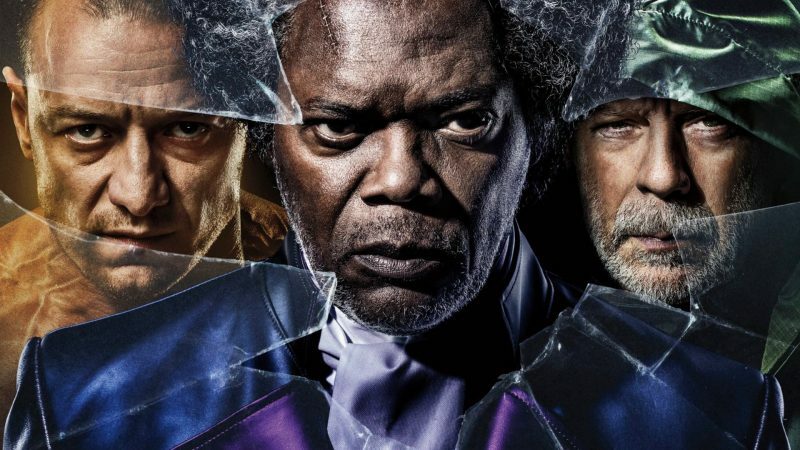 M. Night Shyamalan’s Glass is coming to theaters this Friday, and critics haven’t been too kind about the film starring Samuel L. Jackson, Bruce Willis and James McAvoy. However, a fan screening of Glass that included a marathon of Unbreakable and Split has fans coming out happy. It looks like there’s definitely a disconnect between fans and critics. Eric Eisenberg of CinemaBlend said, “The conclusion of this film is a worse disaster than Eastrail 177.” Anyone reading this actually watched Eastrail 177? As for the fan reactions, they are mostly positive. Shyamalan, who directed Glass, appeared during a marathon. He thanked the fans and was very excited to share the film with them. Just finished the @drafthouse q&a with fans in Brooklyn. They are watching @GlassMovie right now. They were so sweet. And man watching all three films back to back. I don’t know what to say. Amazing! Thank you to all involved. This fan really liked how the trilogy ended. I was lucky enough to see an advanced screening of #Glass today at the #Shyamalanathon and let me tell you, it was PHENOMENAL. @MNightShyamalan is brilliant, and the actors were superb. So good! Aside from My #Cowboys losing. I went to a screening of a #Shyamalanathon which showed #Unbreakable #Split & #Glass , and let me just say Glass was Suberb. DO NOT Listen to the "Critics". Lauren Cox, who’s the senior news & entertainment editor at Bustle’s Romper, attended the screening and thought it was great. Really enjoyed the #Shyamalanathon today. Especially seeing #Unbreakable again which is such an emotional, incredible film. & #Glass is great – def not what I expected though! Of course, not all the fans who attended liked the movie. He mentioned that he would rather do something else than watch this film. Ouch. Glass is definitely one of the few films that shows a divide between critics and audiences. However, there are other films that show that both can enjoy the same films; for example, Avengers: Infinity War, Deadpool, Black Panther, Spider-Man: Into the Spider-Verse, and Bumblebee, just to name a few. Glass hits theaters Friday, January 18, 2019. The post Glass fan screening reactions show disconnect between critics and fans appeared first on Nerd Reactor.